“Follow your dreams, you can meet your goals, I’m living proof.” – E.T.C. 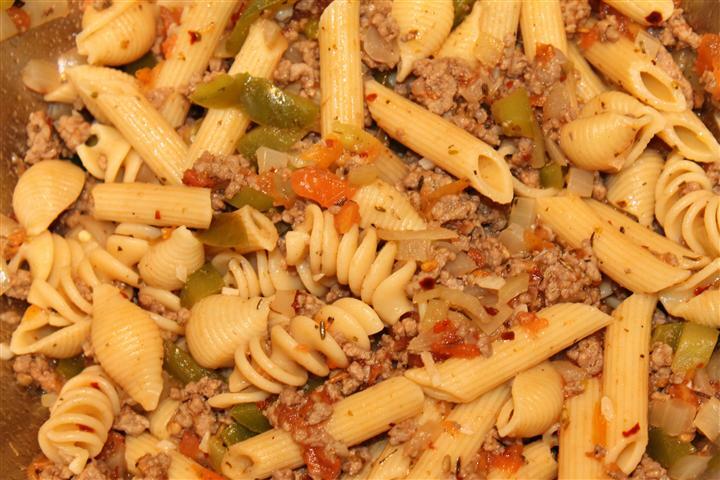 Start by boiling water in a medium saucepan and cooking 2 cups of pasta until al dente. 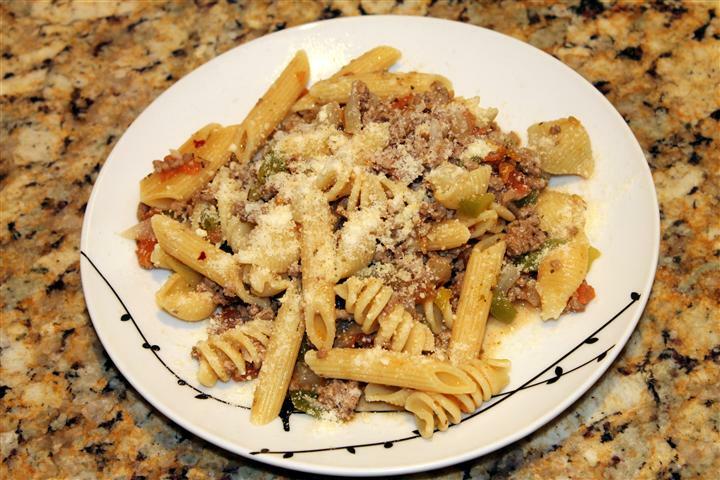 While the pasta is cooking, brown the ground beef in a skillet (7-8 minutes), and prep the vegetables and garlic. When the beef is browned, drain the excess fat, remove and set the beef aside. What’s the T stand for in Eric’s name? Looks tasty, mmmmmmm. Follow your dreams! !